This is the only flooring category where I strongly recommend you have a clear idea of what your budget is going in. The reason? The last thing you want is to fall in love with a gorgeous tile only to find that it's so expensive that you'll have to settle for something less. With so much to choose from, I'm confident you can get what you want at any price range, so don't worry. There are generally three types of residential ceramic tile – floor tile, wall tile and porcelain tile. Porcelain is the highest quality of these because it is made with finer materials fired at higher temperatures giving it performance features that “regular” ceramic cannot match. Floor tiles are specifically created to withstand the abuse most floors have to endure. Strong, durable and available in a wide range of sizes, floor tiles are generally more expensive than wall tile. 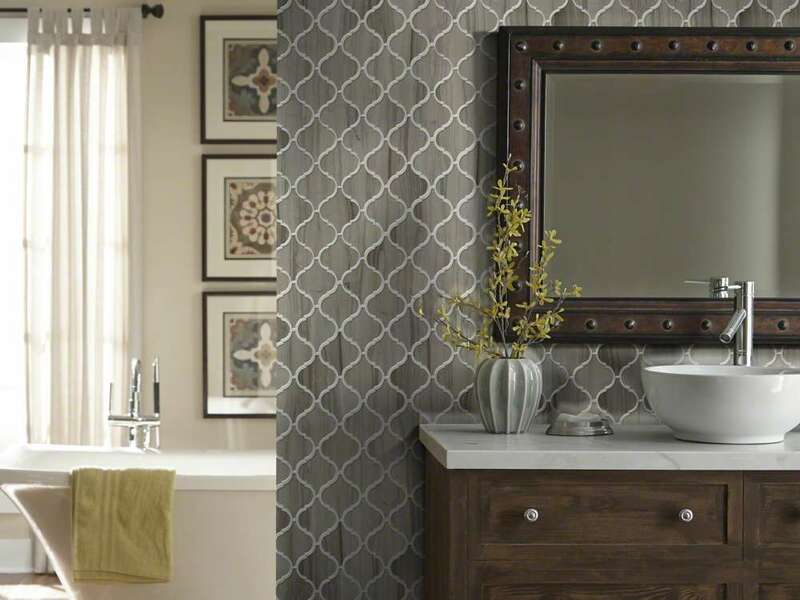 Increasingly, wall tiles are being made to coordinate with floor tiles and can help you create a more European-style look, especially in bathrooms where the tile goes to the ceiling. They are not recommended for use on the floor. Made to be extremely moisture resistant, porcelain tile is the strongest tile available and can even be used outdoors in most parts of the country. While less expensive options are available for most installations, porcelain lends a level of beauty, quality and performance that can’t be beat, especially when it comes to style. Because manufacturers put their best designs into their higher quality and performance products, you're likely to find that the best offerings are porcelain. 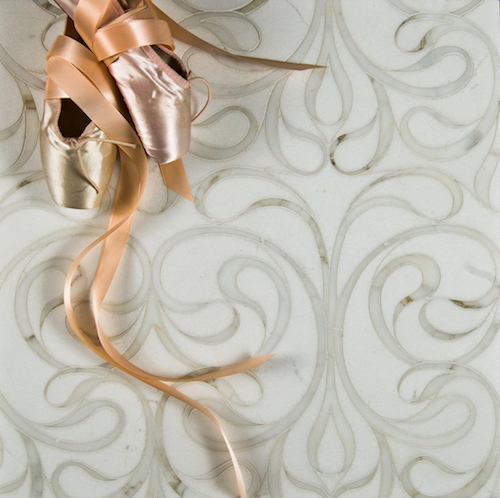 Color is added to the tile after the initial firing to create a glass-like surface that is bonded to the tile. Glazing allows brighter colors to be used and adds stain resistance. Glazed tile offers more color choices than unglazed. 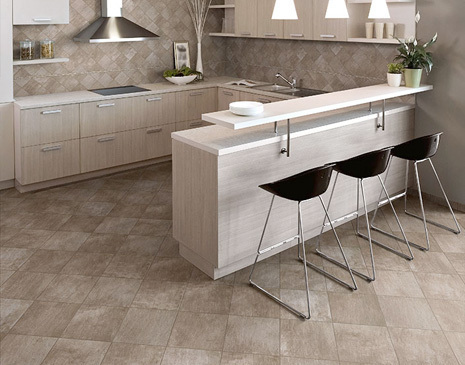 Ironically, today’s trend toward natural looks in ceramic tile have resulted in low gloss levels and even some tiles that look unglazed when they are, in fact, glazed. Unglazed tile is where the pigment or natural color is present during firing and is part of the tile itself. If considering unglazed tile, ask if it should be sealed for stain resistance. When choosing a floor tile, it’s important that you select one that’s rated for the area where you plan to install it. Tile is rated by a series of standardized tests that evaluate its relative hardness, its ability to stand up to wear and how water resistant it is. Group V/Extra-Heavy Traffic: Use it anywhere. There are also concerns about slips and falls. Wet tile can be very slippery and is why ceramic tile carries a coefficient of friction (CoF) rating that measures slip resistance. Class I is not recommended for floors but can be used on walls. Very slippery when wet. Class 2 can be used as a floor product but can still be quite slippery. It is recommended for walls and residential bathrooms only. Class 3 has more abrasion thereby making it safer for use through any residential application including kitchens. Class 4 & 5 are for heavier traffic and can be used in industrial and commercial applications such as airports, supermarkets (think the produce aisle) with little chance of slippage. Ceramic tile and porcelain is expensive and installation costs can add up quickly depending on factors you might not even be aware of like subfloor issues, backer boards for waterproofing, crack suppression, etc. 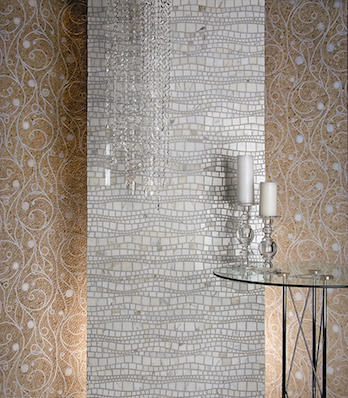 Picking a beautiful tile is only half the battle because installation can often cost as much as the product itself.